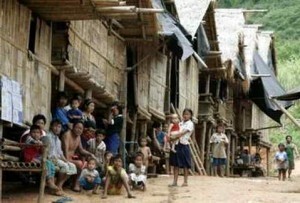 The presence of Burmese forced migrants in and around refugee camps at the Thai-Burma border is one of the longest protracted refugee situations worldwide. Yet, in contrast to refugee situations in other parts of the world, anthropological research focusing on the Burmese in Thailand is scarce. Based on anthropological fieldwork in Mae Hong Son (Northern Thailand), this paper examines livelihood strategies of refugee and forced migrant youth in and around a Karenni refugee camp. On the one hand, young people in this setting are exposed to Western aid-agencies, volunteers, researchers and their respective discourses on issues such as development, gender equality and human rights. On the other hand, the wisdom of these ideologies seem to be challenged by senior Karenni leaders, who try to maintain a “traditional” order of Karenni society. Against this backdrop, this paper explores how the livelihood provision of Karenni youth involves (re) negotiations of community values and social roles in order to satisfy different authorities and the value systems they embody. Research results presented in this paper stem from anthropological fieldwork conducted during January and February 2006. I explored Karenni youth’s livelihood strategies through the application of traditional ethnographic methods, namely participant observation, formal and informal interviews, as well as the collection of ethnographic material. In addition to that, I used academic literature and humanitarian research reports as secondary sources. The paper is structured as follows: I start out with a brief account on the organization of the refugee camp that served as social setting for this research as well as an introduction on major stakeholders operating within and around the camp (e.g. Karenni senior leadership and aid-agencies). The second part of the paper consists of a presentation and discussion of Karenni youth’s livelihood strategies discerned during fieldwork and how these activities challenge and/or reinforce “traditional” social values and roles. I conclude by arguing that Karenni youth’s choices of livelihood provision have to be understood within a continuum of displacement; not all livelihood strategies are necessarily a response to conditions of life in exile in Thailand. In fact, some appear to be a continuation of practices that have already been exercised in Burma. Furthermore, Karenni refugee youths are not simply caught up between two competing poles of authority representing “Karenni tradition” and “Western modernization.” Instead, this research suggests that youth make their own strategic use of aid agencies and traditional leadership in order to ameliorate their livelihood provision. Created by VOGLER Pia M.
This entry was posted in Social and tagged Burma, Forced, Migrant, Thai on 09/02/2018 by Mary.